There's a lot going on in the OED's entry for bran, none of which is going to endear me to the stuff, connected as it is with excrement, muck, filth and dandruff. Bran's link to excrement isn't too difficult to fathom - it looks like it, after all, and is the main reason that the fecally-challenged among us eat it. Dandruff is a little harder to understand; if you've ever reached the point that your dandruff looks like Bran Flakes, then you've really delayed seeing that dermatologist for too long. With the exception of dandruff, however, I believe that all of these associations can be traced to one simple source - the most hideous and spiteful of culinary perversions, the cruelest and most ill-spirited gift that one can bestow upon another human being: those truly repugnant blobs of horror that are bran muffins. Every few weeks, I must endure these kitchen-spawned abominations when my sister-in-law arrives at my house bearing a tub of these 'healthy' passive-aggressive monstrosities because she 'was thinking of us'. While I might not have previously known the etymology of bran, the word excrement (or a less polite synonym of it) is never far from my lips as I choke down mouthfuls of these hideous, bowel-battering blobs of hate before feigning some kind of medical emergency in an attempt to excuse myself from taking another morsel. At least I think I'm feigning a medical emergency - with clumps of that grinding down my oesophagus, it's really impossible to be sure. Have you ever inflicted bran muffins on an enemy? 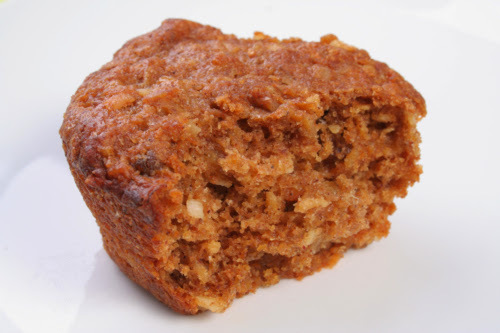 Is it true that bran muffins specifically contravene several articles of the UN's Universal Declaration of Human Rights? Do please separate the chaff from the bran in the comment box below. Never made them, never had them, never plan on having them. I doubt if you'll ever see another bran muffin - or, indeed, sister-in-law - after this. This is a threat. I want it on public record that I am in danger, and should I soon die a horrible bran or cupcake-related death, the relevant authorities should be notified.